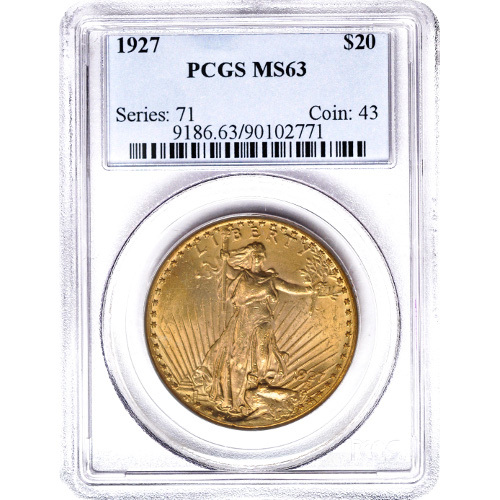 Customers: Please note these coins are either PCGS or NGC graded as MS63 condition and will be from years of our choice, all 1907-1933 and based on our inventory at the time you place your order. 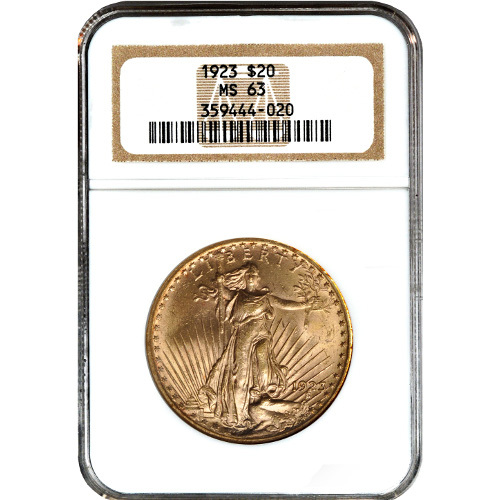 The $20 Saint Gaudens Gold Double Eagle is considered the United State’s most beautiful coin. Minted between 1907 and 1933, the coin’s design was in response to then-President Theodore Roosevelt’s call to beautify American coinage as a way of showing homage to the nation’s greatness. Answering the call was the world famous sculpture, Augustus Saint-Gaudens who borrowed heavily from American iconography in the design of the coin. Saint-Gaudens left nothing to chance or the imagination in the design of his coin. Each coin, which is produced with .9675 ounces of gold, features Lady Liberty adorning the obverse side with her customary torch in one hand, and an olive branched clutched in the other. The reverse side features an eagle in flight above the sun. Saint-Gaudens rendered every detail with outstanding precision from Lady Liberty’s flowing hair to her streaming gown. As such, it is obvious why this is such a valued coin for any collection. Quite simply, it is a stunning design that has stood the test of time. 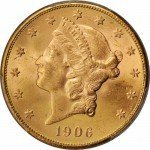 When it comes to rare coinage, few coins can hope to compare to the stunning qualities that are inherent in the Gaudens’ Double Golden Eagle. 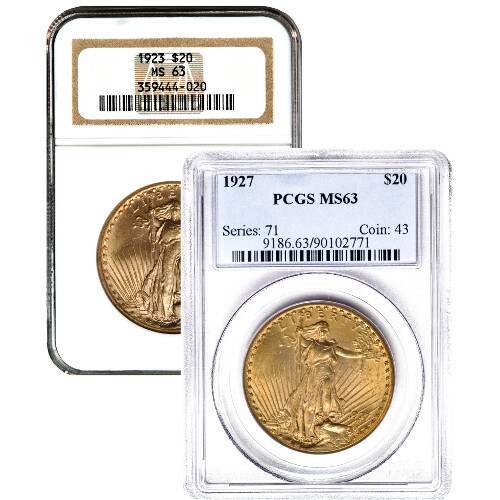 No coin collection is complete without the opportunity to display the most beautiful American coin ever struck: the iconic $20 Saint Gaudens Gold Double Eagle. 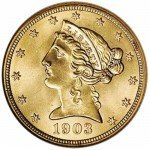 Whether looking to expand your own set of rare coins, or you are helping a friend complete theirs, this is an excellent coin for the serious coin collector.